This treetop spa is nestled between three oak trees in the great state of Texas. 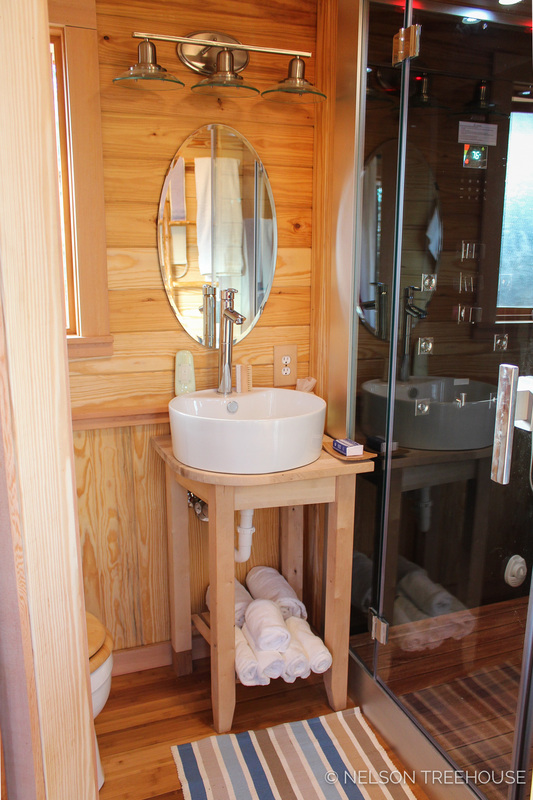 Inside, a Murphy bed, massage table, steam shower, and Japanese soaking tub make this treehouse a heavenly retreat. Guests can also soak in sweeping views of the Texas countryside through large windows and from the roomy deck. They might even spot a longhorn cow or two! A long ramp rises gently from the back of the main house to the treehouse deck. At its highest point, the treehouse roosts 12 feet off the ground. 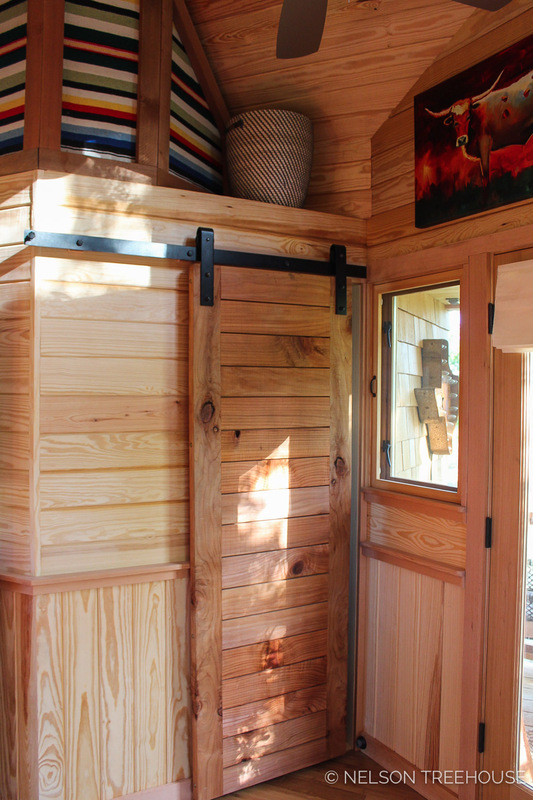 The sloped roof and cedar shingles give the treehouse a charming, classic look. What could be more relaxing than a spa in the trees?! A sliding door opens to the bathroom. The fabric screen above the bathroom provides colorful coverage for a water heater. This treetop spa has a full HVAC system and running water. The main space does double duty thanks to the discrete Murphy bed: massage room by day, guest room by night! We printed Pete's original drawing of this sky-high spa on a super-soft T shirt! The next best thing to being in this treehouse is being inside a T-shirt that features a very cool drawing of this treehouse - check it out here. We hope you've enjoyed taking a closer look at this tranquil treetop retreat! You can see all our photo tours of treehouses from episodes of Treehouse Masters, here. Follow us on Facebook and Instagram to stay up-to-date on all things treehouse.